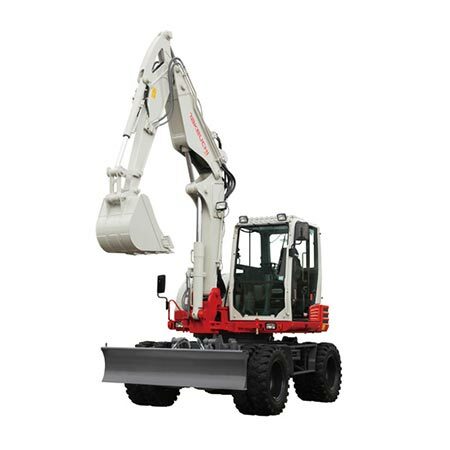 Heavy Lifter – Improved lift arm force provides outstanding lifting power. 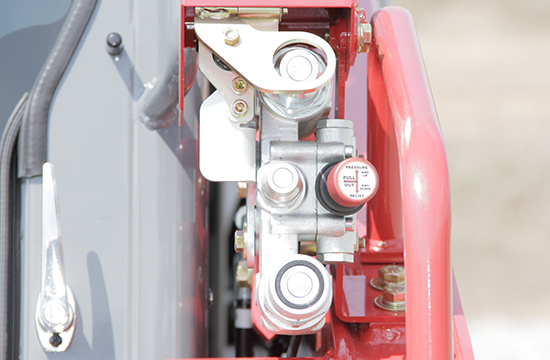 Stay in Your Seat – Hydraulic flow is adjusted from the comfort of the operator’s seat, and attachment settings can be stored in the new monitor. Multiple work modes allow you to chose the mode suited to your application. 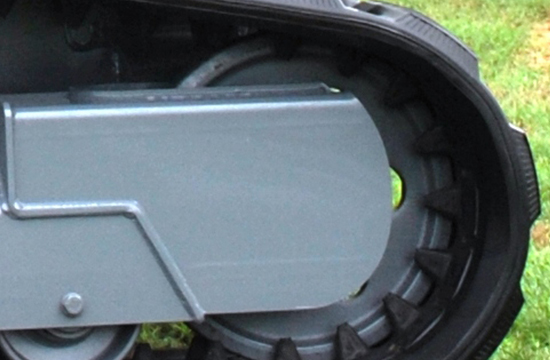 Powerful Drives – Double reduction planetary drives provide exceptional pushing power, delivering maneuverability, outstanding performance, and the standard two speed travel allows for increased travel speeds. New Power Plants – Powerful new engines deliver excellent performance and are EPA Final Tier compliant. Total Package – Improved operating capacity coupled with tremendous breakout force allow you to get the job done more efficiently. 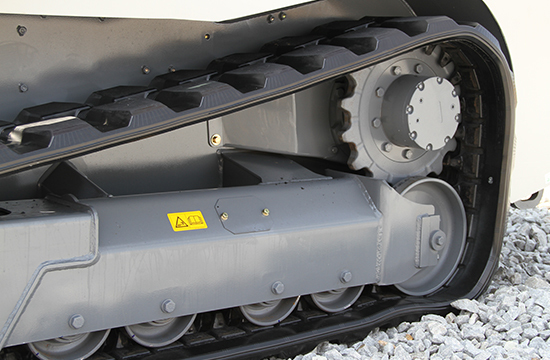 Unparalled Tractive Force – Provides tremendous track power, allowing the machine to perform in the most demanding applications. Tough and Dependable – Front idler rollers are robust and feature larger bearings for slower shaft speeds extending component life. Built to Last – The heavy duty rear door is built to protect the radiator and oil cooler from rear impacts, and will provide years of service and dependability. Keep it Cooler – The industrial sized side-by-side radiator and oil cooler are extremely efficient and provide unmatched cooling performance for greater component life. Reduced Shock – Cushioning on the arm cylinders reduces shock, and protected cylinders and steel lines improve product longevity. Purpose Built Frame – Features multiple cross members for greater strength and rigidity. 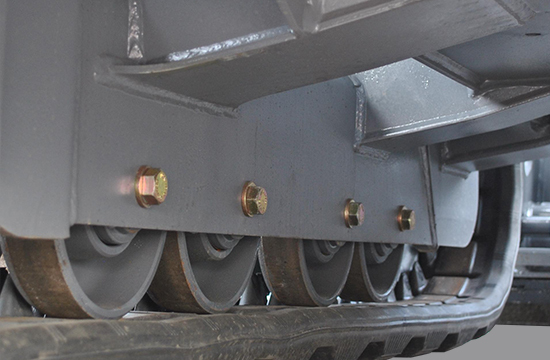 Steel to Steel Contact – Large heavy duty rollers and steel imbeds are utilized on the undercarriage for outstanding durability and value. 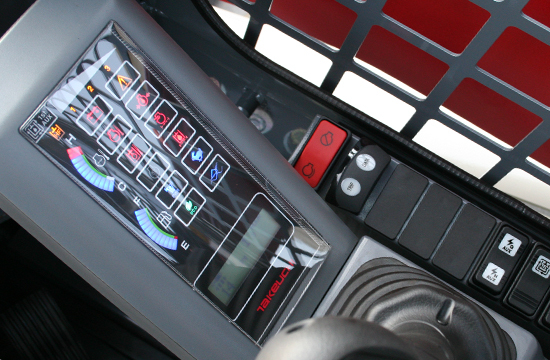 Machine Data – Both canopy and cab units feature a new monitor panel that provides the operator with more functionality, and features new coolant temperature and fuel gauges. New icons include work modes, engine fault, bucket float, and hydraulic mode. In Control – A control pattern change valve is now available as a factory installed option, allowing the operator to choose between ISO and H pattern controls. 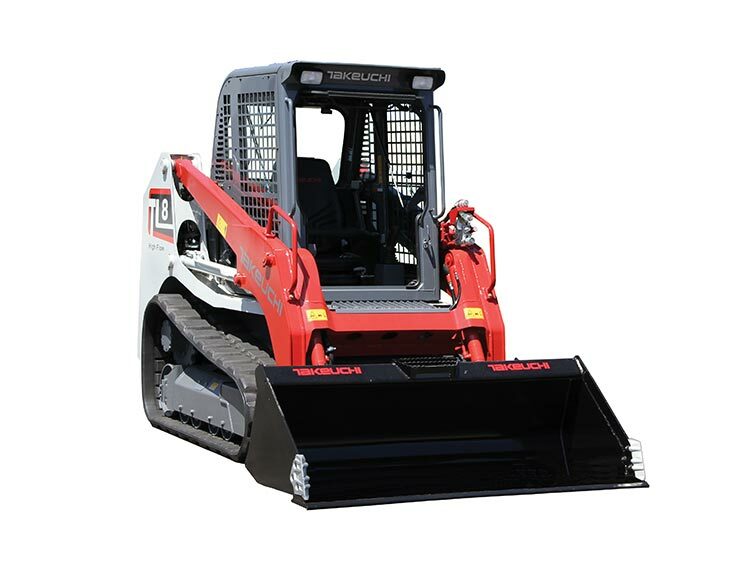 Comfort and Convenience – The operator’s station on the new TL8 is well appointed and spacious for outstanding comfort. Pilot Joystick Controls – Respond immediately to operator input for greater control and performance, and they are low effort for excellent comfort. Only the Best – A deluxe high back suspension seat is standard equipment and features several adjustments including three height settings for optimal comfort and visibility. 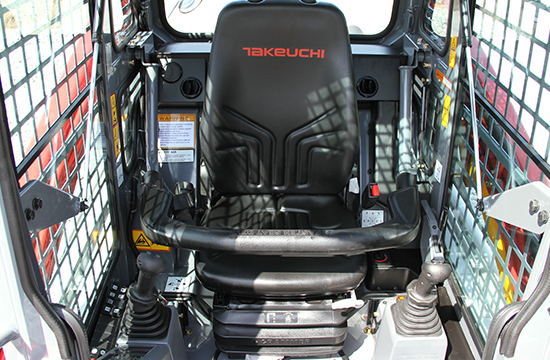 Maximum Comfort – The available cab is pressurized which contributes to a clean, comfortable work environment. 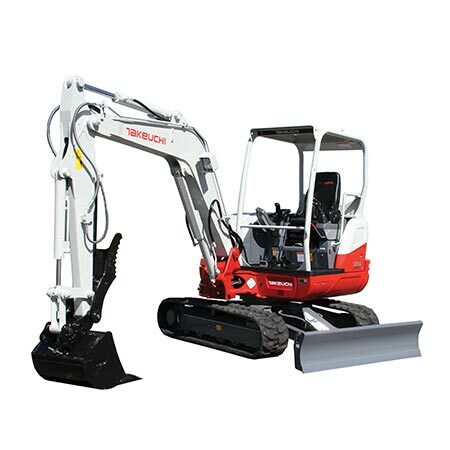 It also includes a roll-up door that may be opened regardless of the loader arm position, and it can be secured overhead during operation. Open Up – With a tilt back operator’s station and large removable belly pans routine maintenance and cleaning is easy to perform. Clean Air – The dual air filter and standard pre-cleaner are mounted on a tilt-up platform for easy service, and the pre-cleaner extends filter life reducing operational and maintenance costs. Keep it Cool – The high capacity, side by side radiator and hydraulic oil cooler not only provide excellent cooling capacity, the entire module swings out for easy cleaning and inspection. 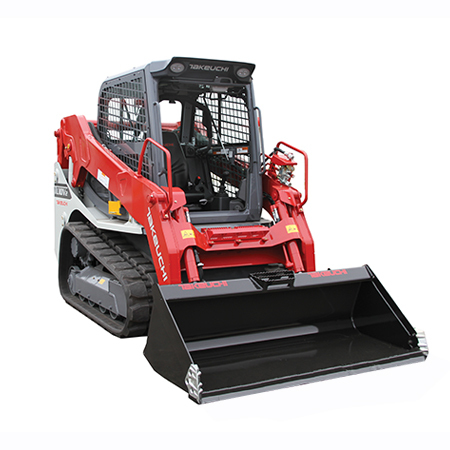 Protection and Security – The heavy duty rear door and top hood are lockable from a single point using the same key as the ignition for extra security when leaving the machine on the jobsite. Much Better – The new access panel located on the left tower provides excellent access to the hydraulic fill and filter, and the oil level is quickly checked using the easy to view sight gauge.